Small molecule therapeutics demand accurate quantitative bioanalysis at every stage of the drug pipeline. From lead discovery to market authorization, confident decisions need reliable bioanalytical results. Because of the potency of modern drugs, high sensitivity is crucial. The complexity of biological matrices might also compromise the accuracy of quantification. These are increasing challenges that bioanalysts must address. Combining proprietary technology and methods with renowned support and service, SCIEX helps scientists to develop highly sensitive and accurate bioanalytical assays. Without compromising on selectivity, accuracy, throughput, or cost, bioanalysts can confidently make decisions that will help to develop better therapeutics, faster. 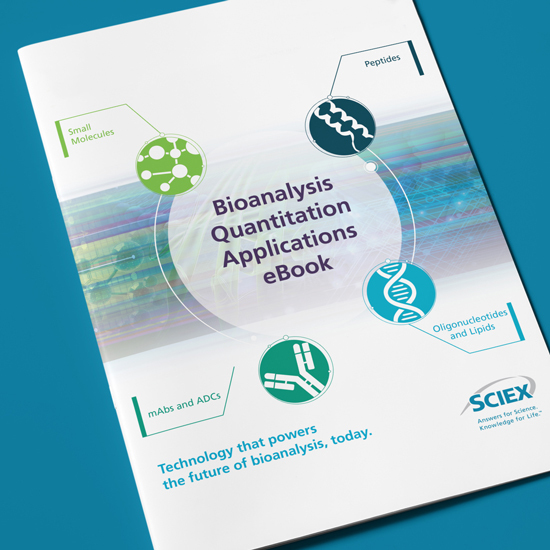 Now you can achieve high sensitivity quantitation without sacrificing throughput and robustness with the all new OptiFlow Quant Solution from SCIEX. You will gain significant signal-to-noise advantages while avoiding the hassle and complexity of low flow assay setup. 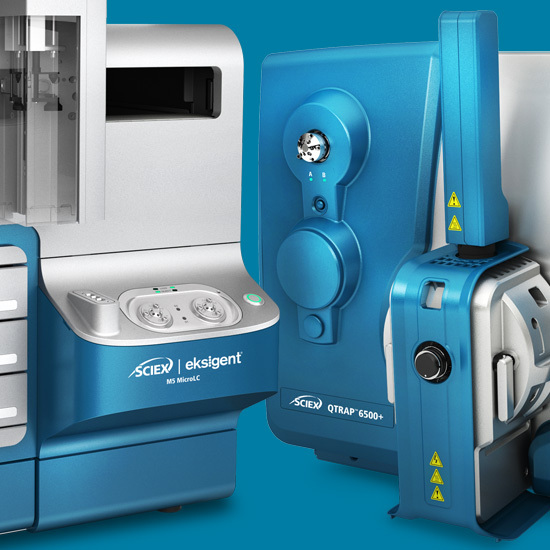 The intelligent union of high sensitivity, ease of use, and robustness to quantify your challenging analytes. 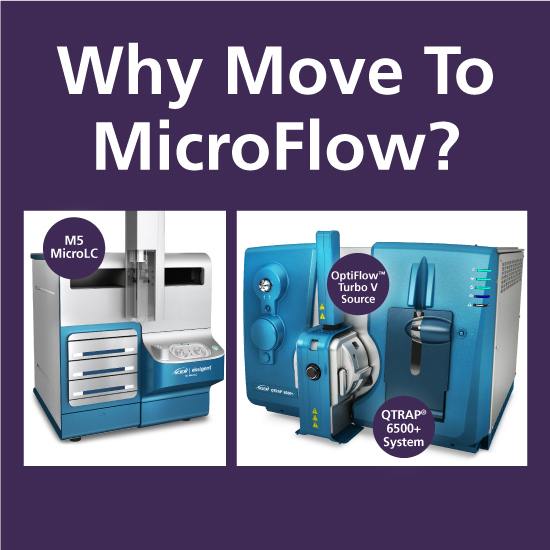 Learn why scientists are adopting microflow LC technology to boost the sensitivity of their quantitative workflows. Bioanalysts quantify drug products to impeccable levels of sensitivity and selectivity to ensure proper dosage, efficacy and safety. This eBook can help you extend your analytical capabilities with the right technology and the right support. SCIEX Professional Services work with you to optimize your operational efficiencies and equipment performance as well as achieve regulatory compliance. Training customized to meet your needs. 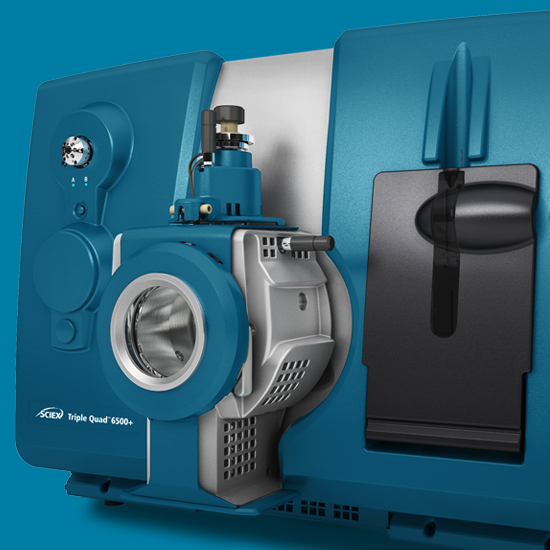 Build a mass spectrometry program to get the most out of your bioanalysis quantitative equipment. Save time and resources with SCIEX Compliance Services fully integrated approach to compliance that includes qualification, re-qualification, and validation for your complete SCIEX system workflow. 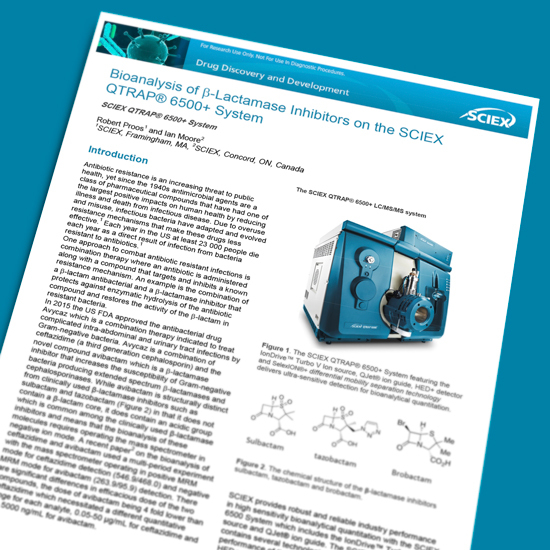 Read an example of the bioanalytical performance of the SCIEX 6500+ System in negative ion mode. Resolving isobaric interferences and stereoisomers separation challenges of Diastereomeric Flubatine Metabolites. 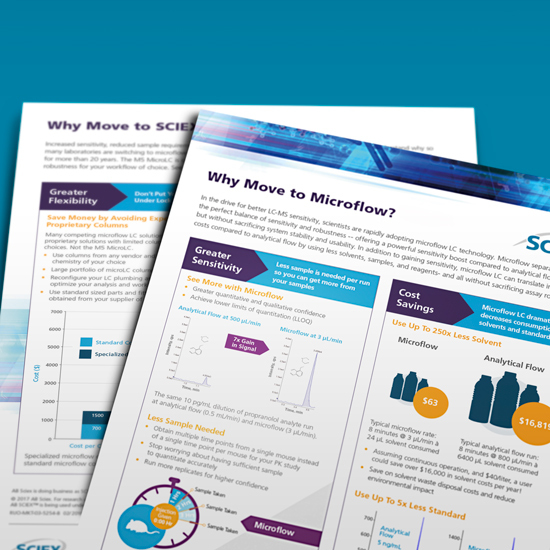 The new OptiFlow Quant solution from SCIEX enables high sensitivity microflow quantitation with no compromise on throughput and robustness. You will gain significant signal-to-noise advantages while avoiding the hassle and complexity of low flow assay setup. 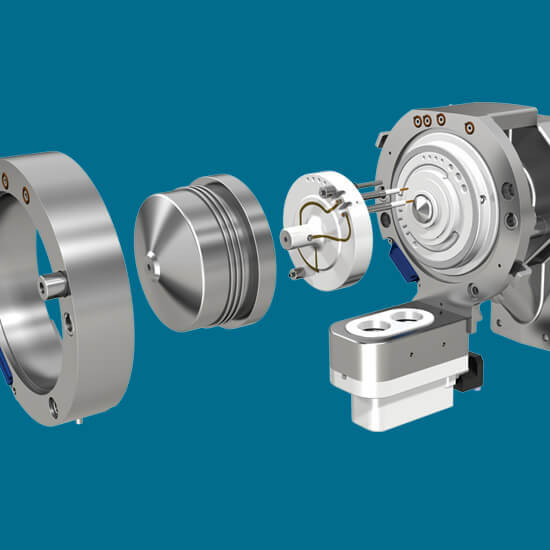 Transform your quantitation. Achieve microflow sensitivity with analytical flow usability. Accurate and robust quantification of small molecule therapeutics can be complicated by matrix interferences, or by the need for achieving increasingly lower LOQs in complex sample matrices. SCIEX innovative technology overcomes sensitivity and selectivity challenges that may be faced by bioanalytical laboratories. 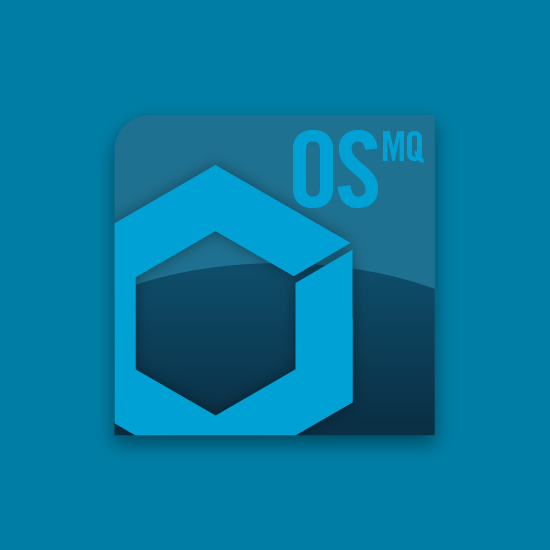 Achieve revolutionary sensitivity in the most challenging matrices. See it all from low mass to high mass compounds, in positive or negative polarity – in a single injection. 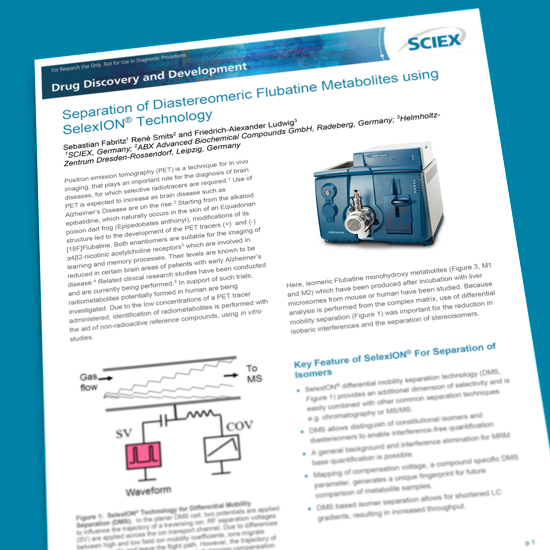 SelexION provides an additional level of selectivity and separation to help you overcome matrix challenges, enhance analyte detection and improve quantitation limits without further method development. Perform automated analysis with this single solution for quantifying large sample sets features superior data processing and visualization, powerful data integration and enhanced audit trail.